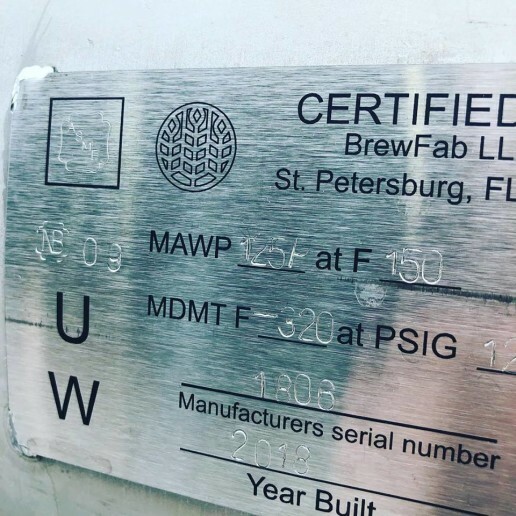 BrewFab LLC, holds a “U” Certification from the American Society of Mechanical Engineers (ASME) and an “R” Certification from The National Board of Boiler and Pressure Vessel Inspectors. These certifications enable us to provide ASME Section VIII, Division 1 pressure vessels for most applications. 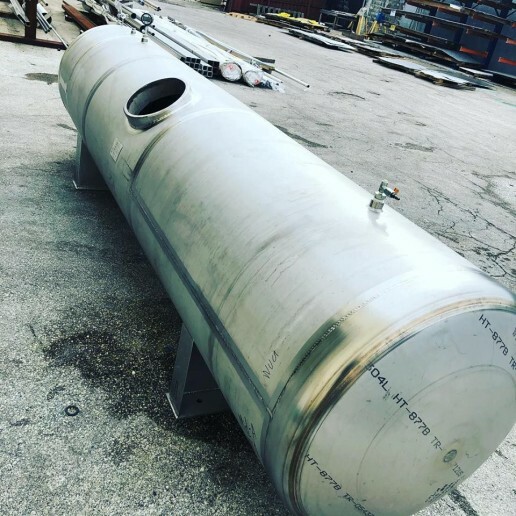 Our pressure vessels are custom designed to meet your specific needs and can accommodate a broad range of materials, vessel capacities, and wall thickness options to address a wide variety operating conditions, including horizontal and vertical vessel options and both low and high-pressure applications upwards of 10,000 psi. The “R” certification allows us to provide repairs and alterations to pressure vessels & pressure retaining items fabricated to ASME specifications and other specifications as well. 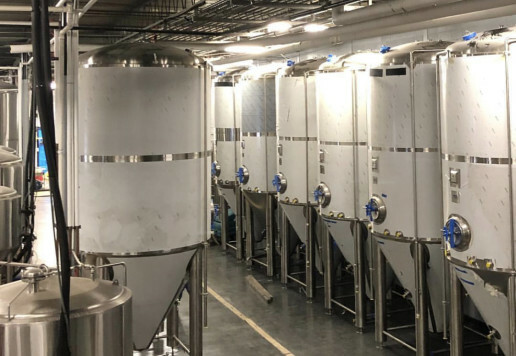 With in-house custom design & fabrication, a comprehensive QC Program, and our talented & experienced staff, we provide pressure vessel services that customers can count on. 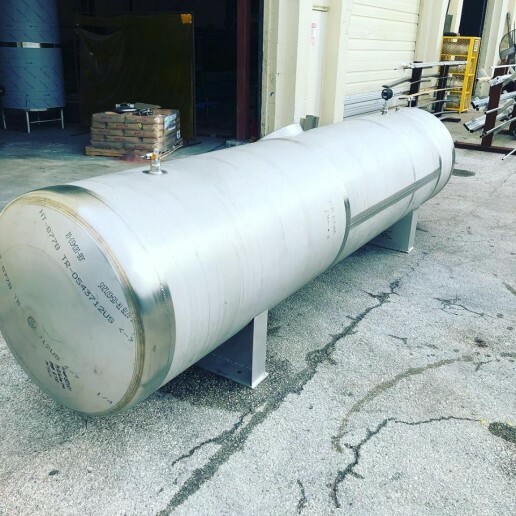 All of our pressure vessels are manufactured to the highest standards and certified in accordance with ASME Boiler and Pressure Vessel Code, Section VIII, Division I. All vessel welds use ASME certified welding procedures. Our quality control program utilizes liquid penetrant, hydrostatic inspection, and test methods to ensure that each and every vessel we produce operates to the highest levels of safety. All material test certificates (MTR’s) and ASME forms are made available with every vessel. BrewFab LLC, can also meet all of your process piping needs. We can design and fabricate process piping to meet ASME specifications. All finished process vessels are tested and certified, National Board code stamped and registered. We don’t JUST build brewery equipment. 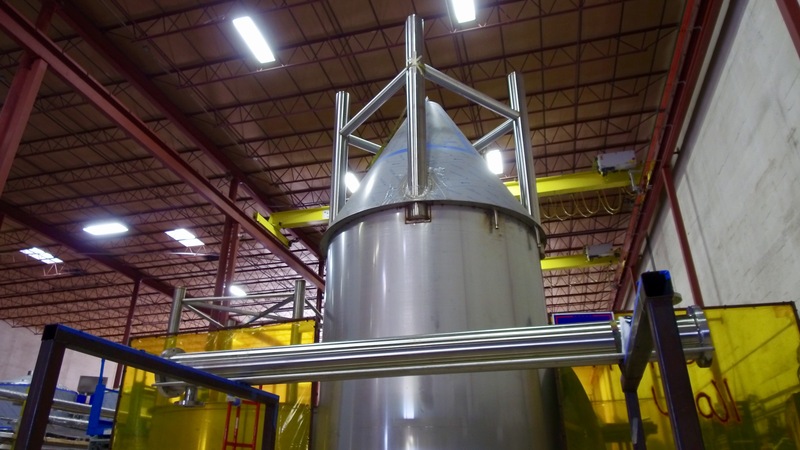 This ASME code pressure vessel is headed to the Naval Warfare Center for the US Navy. 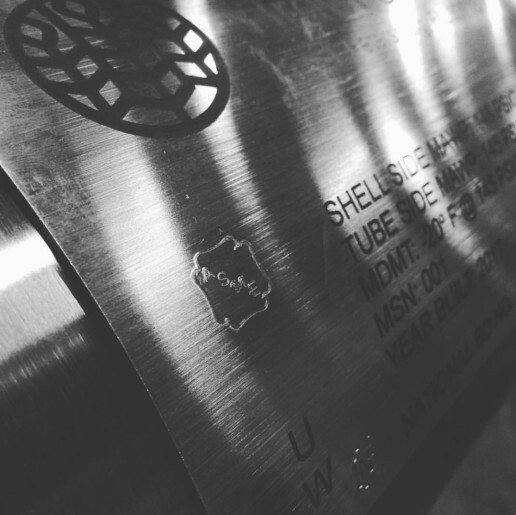 With our ASME “U” and “R” stamps we are capable of producing and repairing a wide range of pressure vessels for a wide range of industries.